The piano duo Anderson and Roe rocked Maui and swept its audience off its feet. I require my students in piano class and introduction to music literature to attend an approved concert and write a review. At beginning of the Fall 2013 Semester, much to my surprise and consternation, I could only find one piano concert listed at the Maui Arts and Cultural Center (MACC) for the 17 weeks in between August and early December. The date of Sunday 17th November 2013 became engraved on everyone’s calendars. The piano duo Anderson and Roe was scheduled to give one performance that afternoon in the MACC. Conversations in the Garden is a new recording of a new 4 hands on 1 piano duet of John Bilotta, played and recorded by Anne Ku (primo) and Carol Ruiz Gandia (secundo) on a Steinway Grand model A in Utrecht, Netherlands. Listen. Good music travels. In January 2011, I announced a “Call for Scores” from Maui. John Bilotta composed his new piano duet in San Francisco where I met him for the first time in May 2011. Carol Ruiz Gandia and I recorded it in Utrecht, Netherlands in August 2011. This summer I asked Spanish pianist Carol Ruiz Gandia, who has performed many times in our Monument House Concert Series, to study a few piano duets from my Call for Scores of Multi-hand Duets, specifically to record them on my Steinway Grand (1909 New York Model A). On a sunny Thursday morning (4th August 2011), Carol played the secundo (bass) and I the primo (treble) part of San Francisco-based composer John Bilotta’s “Conversations in the Garden.” We had chosen the parts a few days earlier and practised them for the purposes of recording. We recorded it on a ZOOM hand-held recorder in my home in Utrecht, Netherlands. Carol is starting a new house concert series from her home in Tuinwijk part of Utrecht. Tuinwijk translates to “garden village.” We were at Utrecht Conservatory together, and it’s nice to continue our collaboration even after graduation. I will be writing more about her new concert series soon. Unpublished works of composers are precious to those who want them. 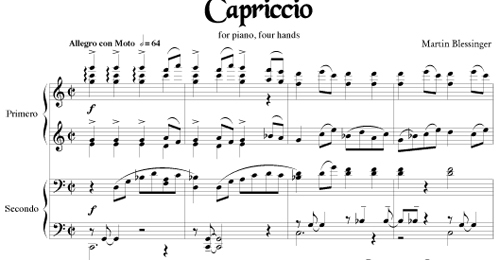 Here is a story of how one pianist reverse engineered a piano duet piece to a solo work so she can play it. would you consider transcribing it for piano solo? I like it so much that I’d like to play it as solo and record in my new CD and also perform in Maui when I return in mid-August. Well played! The original version of this piece was for one piano. I will look for it and send it you. A few hours later, he posted the following message on my Facebook Wall. I had not seen him for a year. I had called him from Maui several months before. I had been too busy to call or visit since I returned to Utrecht in late May. I called him the next day. He told me to visit him the next afternoon and warned me not to be disappointed if he were to ask me to leave when he became tired. Friday 22nd July 2011 3:30 pm. I wrote in my diary. Henk then sent me 7 piano duets. When I visited him on 22nd July 2011, he showed me an 8th duet. None of these duets had been performed or published. “Why did you write them?” I asked. So he’d compose new piano duets and then orchestrate them for different instruments, depending on the students in his class. If there was a flute player, he would include a flute part. He showed me the 8th unpublished piano duet on Sibelius 6.0 notational software. It was magnificent. “I will give you the score,” he said. Henk Alkema left this world on Thursday 4th August 2011. His piano duets remain unpublished. I can still hear his 2nd piano duet which I’ve shared with so many people since I tried it in Maui. But now I want to play it as a solo piece. It’s entirely possible read all four voices and play it as a solo piece from the piano duet score. 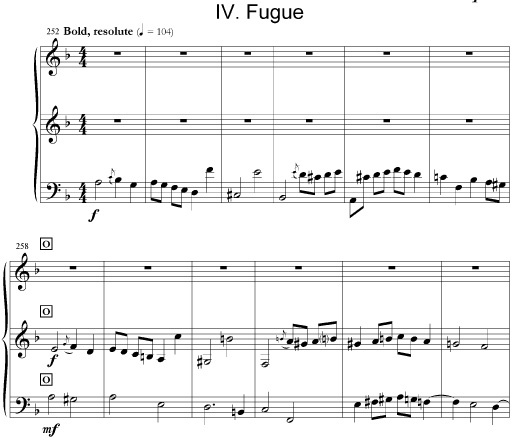 But it’s easier to have it written down as a solo score (below). I think the tempo marking of quarter note = 60 is too slow. I prefer quarter note = 88. I would dearly like to play the rest of the 7 piano duets as piano solo pieces. But how shall I get the score to the 8th duet? 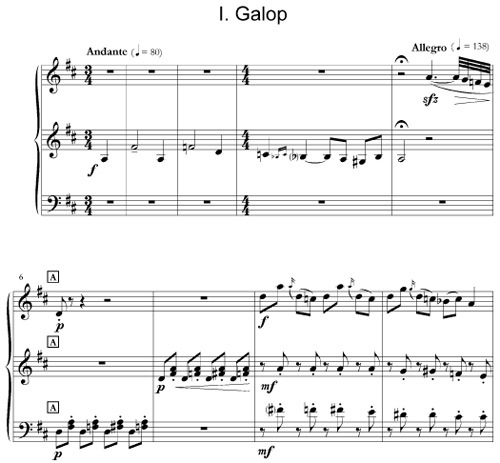 Click on the image below to get the one page PDF of the piano solo version entered into Sibelius software by Robert Bekkers.